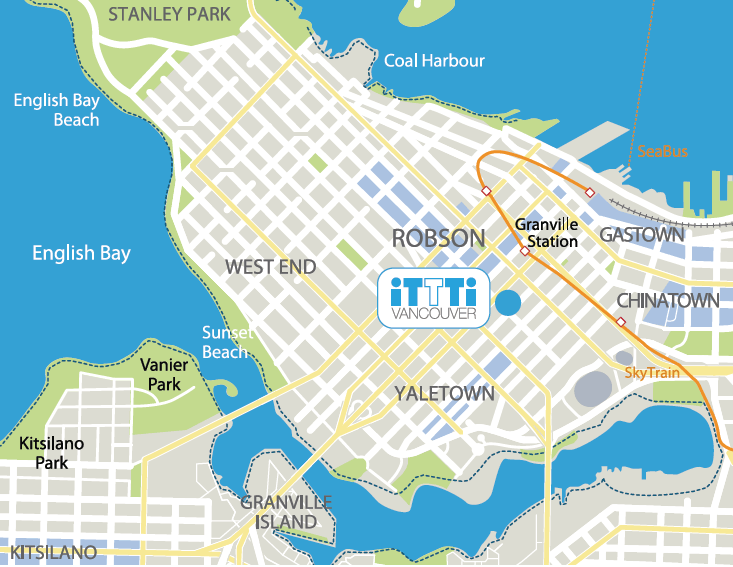 Welcome to iTTTi Vancouver. I am very proud to be a part of such an exceptional language study institute. The dedication of the staff to the welfare of the students is clear from the moment you enter the door of our beautiful campus. As an international language school our mission is to prepare the students to succeed in a world that is more international than ever by not only teaching them English but by providing an environment in which they learn to appreciate the diversity of cultures represented by our students. We are dedicated to helping our students become fluency specialists through unique programs focused on perfecting their oral communication skills. Helping students achieve their language learning goals is of the greatest importance to everyone at iTTTi Vancouver. We don’t expect everyone to want the same things or learn at the same pace because our students come from many different countries, different backgrounds and with different reasons for being here. Our qualified instructors are experienced in recognizing the individual learning styles and cultural differences of our students, and we offer a wide range of programs and activities to help students make the most of their iTTTi Vancouver experience. We are committed to upholding industry standards by maintaining a clear, effective pedagogy in all our programs and activities. iTTTi Vancouver is a beautiful combination of a modern, corporate feeling interior design with a warm, inviting atmospere. We occupy the entire third floor of a stylish glass government building in the best location in Vancouver. iTTTi Vancouver has a capacity of 250 students, which we feel is just the right size for you to enjoy an exciting cosmopolitan atmosphere without feeling lost in the crowd and our 18 large and bright air-conditioned classrooms have comfortable furniture and excellent facilities for you to get the most out of your study time. We want to be available to talk to you anytime you need so we have an open-plan reception area where all our staff will be pleased to give you the support you need, and if you want to discuss anything in private, we have comfortable counseling rooms for you. Our modern and extensive computer facilities have been designed with your study and communication needs in mind. There is modern software to help you study, and with high-speed Internet, multi-language PCs and wireless access throughout the school, you need never be out of touch with your friends and family. When you are not studying or writing emails back home, you can relax in our comfortable student lounge, help yourself to a cup of tea and watch our widescreen TV or play ping pong or table football with your classmates. There is also a pretty outdoor patio where you can enjoy the Vancouver sun and join in our regular barbeques. 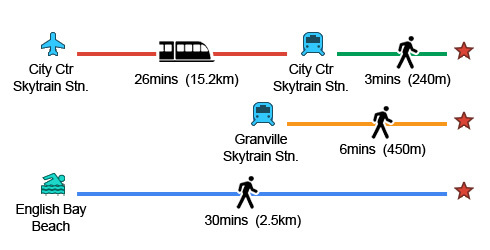 As soon as you step out of the door you are right in the heart of Vancouver’s main shopping district on Robson Street and you are within 3 minutes walk of main public transit on all sides! iTTTi Vancouver Admissions Policy and Procedure. Be 15* years or older. Read and agree to all of the policies, terms and conditions. Submit their full legal name, date of birth and nationality as on their passport. Make sure they meet the language level required for their preferred course if applicable. Pay their tuition fee in full before the start of classes. Some students who are 13 or 14 years old may be eligible to take some courses upon prior approval. iTTTi Vancouver believes that the fastest most efficient way for students to quickly improve their English communication skills is by immersing themselves in an English only environment. For this reason, the school maintains a strict English Only Policy in all areas of the school. Students who have violated the policy are subject to varying degrees of penalities depending on the number of violations or circumstances connected to the violations. The penalities for the violations range from a warning, to suspension and potentially dismissal if the student’s behavior cannot be corrected. Continued violations above and beyond this may result in expulsion from the school. iTTTi Vancouver is an English as a second language training institution. As such, we recognize that the main goal of the students coming to our school is to improve their English language skills. Students enter our school at a variety of levels and abilities from absolute beginner to advanced users of English. All students have an English language placement test on their first day at school. The purpose of this test is to assess which level or course will best meet their abilities and their language learning goals. The test consists of a written portion that checks their knowledge of grammar, vocabulary, idiomatic usage, and reading and writing skills. They also have an oral interview to test their listening and speaking skills. Students participating in the General English program do not need any English language assessment prior to their arrival day at the school. Depending on the results of their first day Level Placement Test they will be able to participate in the course that best suits their abilities and goals. Students who would like to register in advance for a particular course with an English level requirement, may request to take our Language Assessment Test in advance. The student is supplied the test along with instructions on timing and how to submit their answers. Based on the results of the test, they may be granted conditional acceptance to the course. These students will be retested on arrival, and if they have been found to have misrepresented their ability, they might not be able to take the course which they chose in advance. In this case, they will be allowed to take another course which suits their level and goals. Students scoring 75% or higher on the multiple choice portion of the Language Assessment Test and 3 out of 5 or higher on the written portion, are eligible to take courses which require an entrance level placement of Upper Intermediate. Students scoring 85% or higher on the multiple choice portion of the Language Assessment Test and 4 out of 5 or higher on the written portion are eligible to take courses which require an entrance level of Upper-Intermediate or Advanced. iTTTi Vancouver is committed to ensuring that its learning environment promotes the respectful and fair treatment of all students. iTTTi Vancouver acknowledges its responsibility to provide a safe and civil environment for students to learn in. Harassment, intimidation, bullying, and discrimination disrupt both a student’s ability to learn and a school’s ability to educate its students in a safe environment. Since students learn by example, school administrators, faculty, staff and volunteers should demonstrate appropriate behavior, treating others with civility and respect and refusing to tolerate harassment, intimidation, bullying or discrimination. We accept that bullying, harassment, intimidation, or discrimination means any gesture or written, verbal or physical act that takes place on school property, at any school-sponsored function that: a) is motivated by any actual or perceived characteristic, such as race, color, religion, ancestry, national origin, gender, sexual orientation, gender identity and expression, or a mental, physical or sensory disability; and, b) a reasonable person should know, under the circumstances, that the act(s) will have the effect of harming a student or damaging the student’s property, or placing a student in reasonable fear of harm to his person or damage to his property; or c) has the effect of insulting or demeaning any student or group of students in such a way as to cause substantial disruption in, or substantial interference with, the orderly operation of the school. Step 1 The student may report to a counselor in a safe, private environment about the issue. A translator will be provided when appropriate. Step 2 The counselor will consider a variety of factors (such as age and maturity level of the students involved or the severity of the circumstances) and recommend a course of action to the principal. Step 3 The principal will determine which course of action or punishment is necessary based on the factors above and these actions can be in the range of a simple warning all the way to expulsion. In all cases, safety and welfare of the students is tantamount, and the school will retain a position of zero tolerance on bullying, harassment and discrimination. iTTTi Vancouver makes every effort to assist students in resolving any substantial disputes in a fair and timely manner and our policy applies to all current students. Please note that this policy is referring to complaints of a serious nature. This policy outlines the options for the resolution of disputes which could not be resolved at a lower level, and there is no fee for proceding with this process. A student who registers a complaint is authorized at any point in the process to be represented by an agent or a lawyer at their own expense. 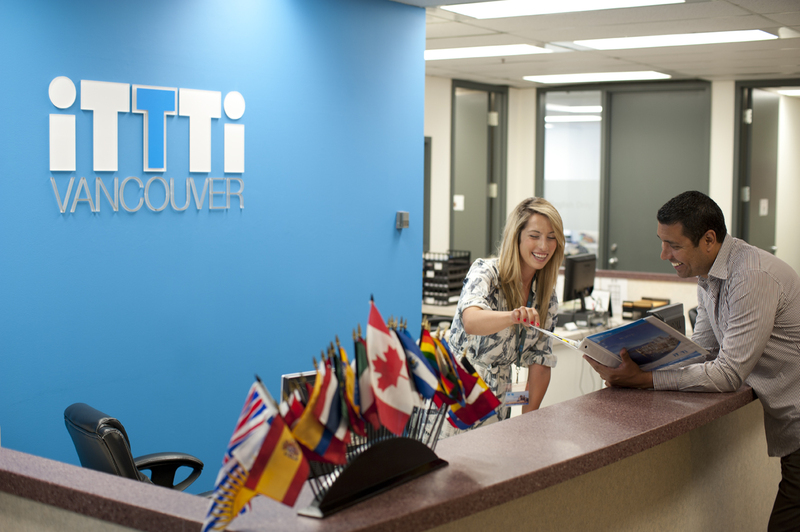 The policy governs complaints respecting iTTTi Vancouver and any aspect of its operations. Students will not be subject to any form of retaliation as a result of filing a complaint. Speak with the individual/section directly involved with the concern (teacher, homestay coordinator, financial officer, academic coordinator). If you are not satisfied with the result after this and would like to dispute your claim further, you may proceed to step two. 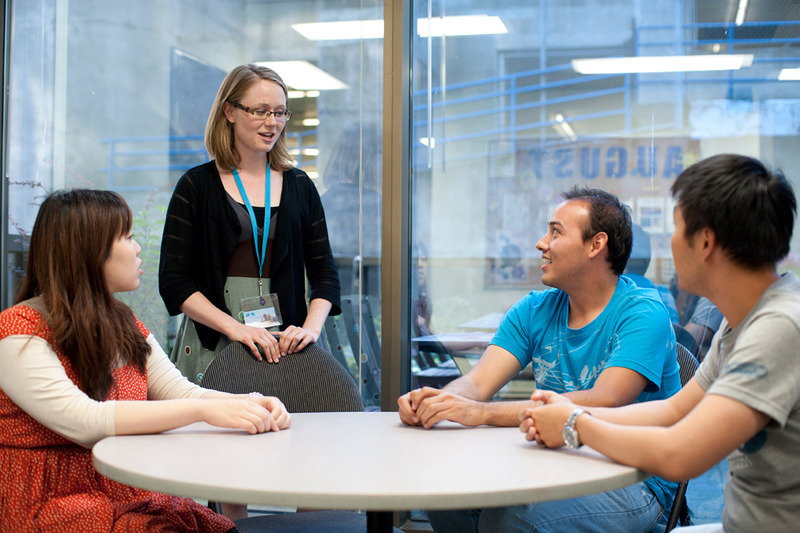 Speak with the Academic Coordinator of iTTTi Vancouver regarding your concern. The Academic Coordinator will complete a Student Grievance Form with you. The Academic Coordinator will review the policies as they apply to your dispute, and consult with appropriate parties and facilitate a resolution. If you are not satisfied with this resolution you may proceed to step three. If the Academic Coordinator is absent or named in the complaint, the student may complete the Student Grievance Form directly with the school Principal, and the Principal will facilitate a resolution. Upon request, the Academic Coordinator will bring your dispute to the school Principal. The school Principal will investigate the dispute and either uphold the previously suggested resolution or propose a revised resolution. Within 45 days of filing a Student Grievance Form, the student will receive the reasons for the decision in writing. The school will provide this written document to the student as soon as possible. If the student is or was enrolled in an approved program, is dissatisfied with the determination, and has been misled by the institution regarding any significant aspect of that program, he or she may file a complaint with the Private Career Training Institutions Branch (www.privatetraininginstitutionsbranch.bc.ca). iTTTi Vancouver allows students the opportunity to resolve disputes about their grades or scores in a fair and timely manner. This policy applies to all current iTTTi Vancouver students. If a student feels their grade or score is not correct they may follow the procedure below. Please note, they must do this within one week of receiving the grade or score. 1. The first step is for the student to discuss their grade or score with their instructor. The student should explain why they feel the grade or score is incorrect. The instructor will review with the student to determine if the grade or score is incorrect or unfair and clearly explain to the student the reason for the grade or score. If the instructor agrees that there has been an error, depending on the nature of the error, the grade or score will be changed. 2. If the instructor upholds the original grade or score and the student is still not satisfied they may appeal the decision with the Academic Coordinator. The Academic coordinator will review the information provided by the student with the instructor and within the context of other factors affecting grade and/or score such as attendance or participation. After reviewing the information the Academic Coordinator will make the decision to either uphold the grade/score the student received or adjust the student’s grade/score through consultation with the instructor. 1. Fees have not been paid in full. 2. Repeatedly violates the iTTTi Vancouver English Only Policy. 3. Causes unbearable disturbances in class. 4. Commits a “punishable by law” crime. 5. Is abusive to staff, teachers or other students. 6. Is lewd, indecent, or displays obscene behaviour. 7. Is in possession of, or selling, dangerous drugs or restricted narcotics on school property. 8. Absent for a period longer than 3 days without notifying the school and providing a doctor’s note. 9. Steals, or purposefully causes damage to iTTTi Vancouver property. 10. Forges, alters or misuses iTTTi Vancouver documents,records or identification or knowingly supplies false information to the school. Reports of students violating the above codes of conduct will first be investigated by the school principal. If the report is found to be true, depending on the nature of the violation, the student will either be issued with a warning letter or a notice of dismissal. If the student has been issued with a warning letter and opportunities to correct the behaviour but still continues to violate the policies, the Principal may dismiss the student from the school. The iTTTi Vancouver refund policy applies to students who have been dismissed. Students may withdraw from their program with written notice of reason of withdrawal. If the student is withdrawing due to visa denial, they must supply a copy of the official visa denial from CIC in order to be eligible for the applicable refund. The registration fee is non refundable and depending on the time of the notice of withdrawal the homestay placement fee may also be non-refundable. In the case of students who are withdrawing prior to arrival for other reasons, iTTTi Vancouver will notify Citzenship and Immigration Canada if the student was issued with a Letter of Acceptance that allowed them to get a study permit. Students may withdraw from their program by filling in a Request to Withdraw notice at the front desk. The Academic Coordinator and a school counselor will meet with the student to make sure the student understands the results of withdrawing from their program. If the student proceeds with the withdrawal they will need to provide proof that they are either still lawfully able to remain in the country, or, provide proof (in the form of a boarding pass) that they have left the country. If the student obtained a study permit through an iTTTi Vancouver letter of acceptance, iTTTi Vancouver will notify Citzenship and Immigration Canada that they student has withdrawn from their program. The iTTTi Vancouver refund policy applies to students who withdraw from their programs. iTTTi Vancouver only collects personal information which is needed in order to maintain the operation of the facility or provide services requested by the individual. This includes information collected at the time of registration needed to meet regulatory requirements, identify our students and to assist in the processing of related services such accomodation and/or airport transfer requests. Typical information collected includes (but is not limited to) the student’s full name, date of birth, contact details, and homestay preferences, including information on allergies. The personal information collected will only be used for the purpose for which it was originally collected or for a use consistent with that purpose, unless the student consents to other use. Information collected in the provision of school services will be kept for a minimum of 7 years. 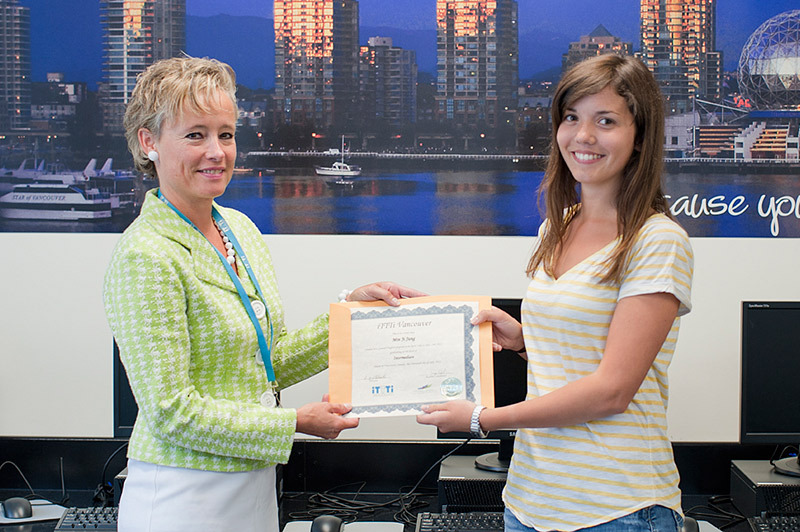 iTTTi Vancouver recognizes the responsiblity to provide a safe learning environment for its instructors and students. With this in mind, please review the safety procedures below. iTTTi Vancouver is well equipped with emergency fire extinguishers and the school has designated fire wardens in charge of the school safety in the event of a fire. If the fire alarm sounds during school hours it is the instructor’s responsibility to account for the students in their class. When the alarm rings everyone must leave the building immediately. The instructor or the facilities manager will lead the students to the designated waiting area outside. Students and staff must not use the elevator to exit the building. Each classroom has signage with directions to the nearest exit stairwell. (Mobility challenged students or staff will wait in fire refuge area.) Once staff and students have left the building the fire wardens for the school will make sure each room and each washroom has been checked and that everyone has vacated. They will then proceed to meeting designated meeting point and confirm that each instructor and all students have been accounted for. Everyone must wait at the designated meeting point until the all clear has been given and it is safe to return to the building. In the event of an earthquake, follow the “drop, cover, hold” procedure for earthquake safety. During the earthquake the staff and students will stay inside, drop to the floor and take cover under heavy furniture such as a table or a desk. Hold on to the object that you are under so that you remain covered. Avoid the doorways, windows and bookcases. iTTTi Vancouver staff are trained and prepared to make sure that any visitor to the school is a legitmate visitor. Any new visitor to the school is required to first present themselves at the front desk. Students may not bring friends/acquaintances into the school without having them check in at the front desk first. At our school attendance is very important. Students who do not attend regularly not only miss out on their opportunity to improve, but they also interfere with the learning of their classmates and their instructor’s ability to teach efficiently. You must keep an attendance rate of 80%. If you miss more than 20% of your class time, you may not be eligible for a graduating certificate or diploma. If you must be absent, please ensure that you have a valid excuse (a doctor note may be necessary for longer absences) and that your teacher has been informed. Please call the school if you will are not coming due to illness. Students who violate the attendance policy will be subject to penalties that range from a warning to suspension to dismissal if their attendance does not improve. Students may request one week of vacation for every 12 weeks of registered study. (One week is 5 days from Monday to Friday). You must fill out a vacation request form at least two weeks in advance and get approval from the Academic Coordinator first. Any exception to these rules must be approved by the Principal of the school.